Screenwriter, WGA member who wrote the Steven Soderbergh film Che starring Benicio Del Toro. Mr. van der Veen has written and is currently developing projects for talents such as Terrence Malik, Julian Schnabel, Rober De Niro, Keanu Reeves, Don Cheadle, Bruce Willis, and Arnold Schwarzenegger. 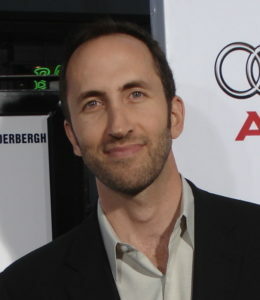 He has also written for Amazon Studios and Regency. The real mystery is this: from where does drama issue forth? The search upriver to its source — that is the pilgrimage I’d like to make with you. By uncovering what drama is we will discover why a middleaged woman in Brooklyn can cry over the same scene that moves a sixyear-old boy in Mumbai. Equipped with an awareness of the universal experience that well-crafted drama reflects one can venture forth into the jungle of possibility and carve out a path both meaningful and entertaining. There is much talk of the form and shape of drama but little of why that form exists. My aim is to stand by your side while we dig deeper. Not only into the craft of screenwriting but into our experience as human beings.